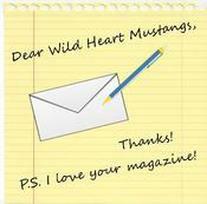 Wild Heart Mustangs™ is bringing our readers more articles on a broader variety of subjects. While for many of us our animals take priority over ourselves, it is important to take time for our own well being. As caregivers, of sorts, we cannot care for anyone (our animals included) if we are not well ourselves. In this issue, we have Dr. Colleen Canale presenting a Holistic Management of Seasonal Allergies. 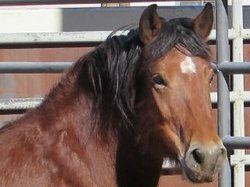 Wild Heart Mustangs™ also realizes that in addition to our equine, many of us have other animals as well. This issue we have a Guest Vet, Dr. Megan Williams, DVM discussing Lyme Disease in Dogs. While we strive to bring new topics to our readers, we are proud to continue to focus on Mustangs, mules, and donkeys! This month, Dr. Karen Rickards, DVM writes an eye opening article on Donkey Nutrition. A must read for anyone with a donkey/burro or anyone thinking about getting one. Samantha Szesciorka shares her adventures from her Nevada Discovery Ride with close up encounters with wild horses on the range. Vet Talk discusses Alternatives to Traditional Nail on Shoes for your equines. Trainer Tips shares Avoiding Feed-time Frenzy. Helen Kendall debuts in L’il Buckaroos with It All Started with a Sheep and Mary Lainhart shares about Life’s Unexpected Gifts. Riding Freedom’s Trail features Trinity Equestrian Center with programs for our veterans. It is our goal, to continue bringing our readers new ideas to think about, new information for the care of ourselves and our animals, and hopefully a healthier, happier lifestyle for your entire family (2 legged and 4 legged). I read a lot of things on Facebook, mostly from women, inquiring others’ opinions if they are too old to get a horse. It amuses me that someone would base a life altering decision on the opinions of strangers in a Group on Facebook. What happened to people knowing themselves? What happened to people challenging themselves to become smarter, stronger, independent, free thinking? I have a cousin who is going to be 88 years old this year. She has her own home in the country. Up until last year she mowed her own lawn, which was in excess of an acre. We go shopping together every spring for our flowers and herbs. She has been a widow for over 30 years. Her children live out of state. Shirley has one important piece of advice, “You have to keep moving.” She never thinks to ask if she is “too old” to accomplish anything in life. Some days are better than others. Some days a lot gets accomplished, others not so much….but every day she keeps on moving. During long winters she loves to read her gardening books, she paints, and she dotes on her cat, Mikey. In the summer, she is working in her gardens, growing her herbs and enjoying the outdoors. She doesn’t overthink each day, or her life for that matter, she just lives it! I admire her, and I pray that when I am 88 years old I will still be doing all that I love and what makes me happy!! LIVING! !